The forging industry has achieved an impressive place in the North American industrial economy by producing components with unique benefits that are difficult to duplicate. 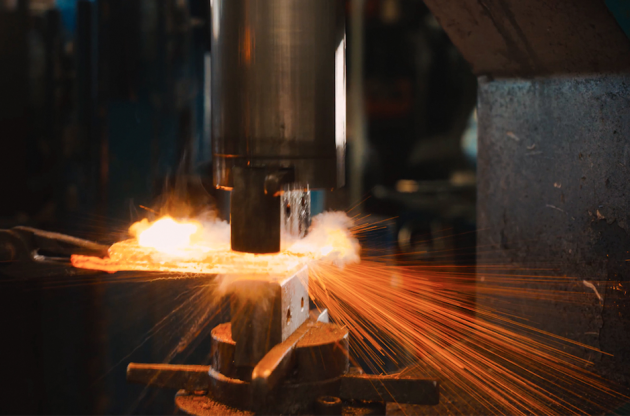 With plants in Branford and Paris, Ontario, Patriot Forge produces products in a variety of materials ranging from carbon, alloy, stainless steel, nickel-based alloys and aluminum. Producing for demanding industries such as power generation, petrochemical, heavy-equipment manufacturers, military and aerospace requires consistent quality, including the vital hardness characteristics of forgings ranging from five lbs. to 50 tons. HDPE cooling towers can be constructed higher as they are made of lighter materials. 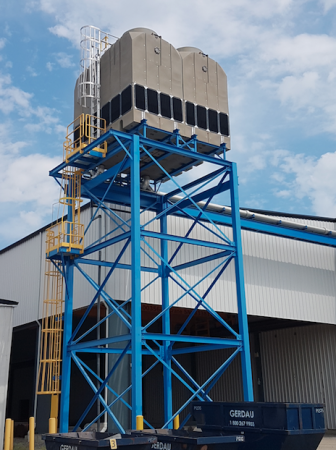 The team ultimately chose a cooling tower constructed on HDPE (high-density polyethylene) manufactured by Delta Cooling Towers, the company that originally developed the engineered plastic technology. 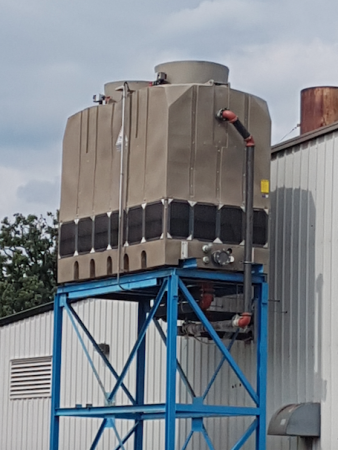 Delta cooling towers were selected by Patriot Forge. “This new tower needed to support multiple systems within the Building One,” explains Hynes. “This included cooling the water that flowed through a heat exchanger used to draw heat off the hydraulic systems of three large pieces of production equipment, including the 5,000-ton press that plays a primary role in the forging processes of the plant. “Both of the quench tanks are 105,000 gallons, and we use the cooling towers to help maintain a heat level of approximately 100 degrees (F),” Hynes says. 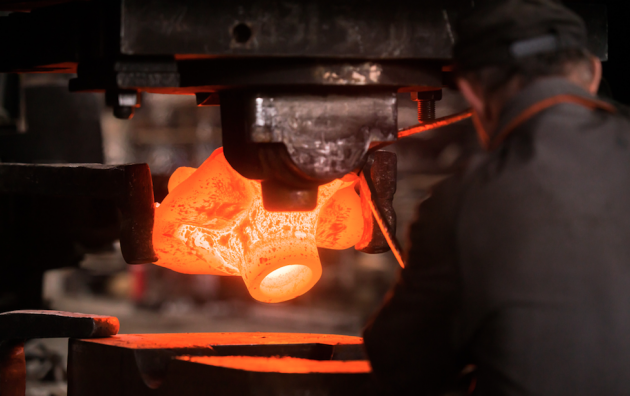 The forging process can reach up to 1,150 degrees Celsius (2,102 F). Patriot Forge supplies custom open die and rolled ring forgings.